Math Mammoth, SayPlease, Systematic Mathematics, DNA Educational Games, Red Apple Reading, Critical Thinking Co., Times Tales, Seat Sack, The Latin Road, Intelli-Tunes, Simply Fun, Institute for Excellence in Writing, Luv Chicken, Center for Hands-On Learning, Classical Academic Press, Your Story Hour, Wordsmiths, American High School, Middlebury Interactive Languages, My Year Look, The Latin Road, Intelli-Tunes, The learning Journey International & MORE!
. For every giveaway you enter, you get an entry for the two grand prizes! Hello and hope you all had a marvelous week! Just read a devotional in my email from Devotionals Daily and they talked about 1 Corinthians 2:12a "God has given us His spirit. That's why we don't think the same way that the people of this world think." If that doesn't describe a homeschool Mom! Whatever struggles or joys you are going through this week, know that we have a loving Father who is watching over us all. This week in our homeschool, we are continuing the story of Moses. We read "Moses the Great Leader" (Exodus 14-16), where God parted the sea to save Moses and the Israelites and provided manna from heaven. We continued into "The Ten Commandments" (Exodus 19-31) and talked about the rules God sent down from heaven. I grabbed a bowl of water and a spoon to show how Moses used his staff and God commanded that the sea part to save Moses and the Israelites. I showed the boys how hard this would be to do to separate water like that and explained that God is capable of anything. Wednesday - Awanas homework went over Lamentations 3:23 and how God keeps his promises. B read the story of Noah with pictures from his Awana's booklet. Thursday - "Llama Llama Holiday Drama" by: Anna Dewdney. We also read "A Golden Calf" (Exodus 32-33), where the Israelites grew anxious waiting for Moses to come back so they gathered all their gold together and melted it to make a golden calf. The golden calf became their god and this angered God and Moses asked him to forgive the people and told them there is only one God. God punished the people but the reference explains that even though God was angry, he has an unconditional love for all of his people and wants us to repent our sins. Friday - B did Lesson 37 in "100 Easy Lessons" (new words and sound: long a, said). He is up to recognizing 78 words that he can read and I am just so proud and amazed by him! My youngest G is also doing amazing and I am so proud of him as well! He knows how to sing the "Alphabet song!" Monday - Number 21 Number find and we counted from 1-21. Thursday - Number 22 Number find and we counted from 1-22. We also played the game, "Who Shook Hook" and went over numbers 1-5 for both boys. Monday - G colored the above worksheet. I am starting to teach them the song "Jesus Loves Me" with these cute coloring pages. B colored 21 dragonflies for his math lesson. Wednesday - We took a walk outside today and played out front for about an hour and a half! We did some sidewalk chalk, talked with neighbors passing by, and I attempted to teach the boys jump rope. I think we need a few more lessons! Thursday - G colored a picture of Moses carrying The Ten Commandments and B had to draw 22 stars for his math lesson. Monday - Reading comprehension questions in reading lesson, and cut and paste activities for math lesson. Tuesday - We had some Play doh fun and after reading "The Tale of Peter Rabbit" we made him out of Playdoh! The boys worked on reading comprehension as I asked them to point out things in the story and explain to me what was happening in the story. We also made Peter Pan! My B so proud of his Peter Rabbit! My G having a blast with Play doh! Wednesday - The boys fell asleep right before Awanas started but at least they have their homework ready for next week! We did some floor puzzles today. Thursday - We played "Who Shook Hook" game and they had to use different pieces of equipment to pick up the game pieces so it is a fun way for them to use fine motor skills. 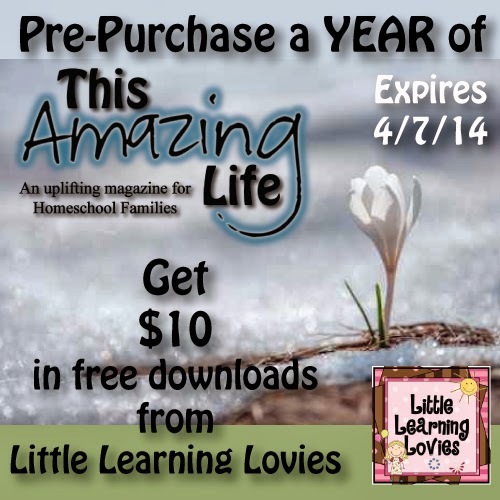 Get an amazing deal this week by pre-purchasing a year of "This Amazing Life Magazine" for $16, and get $10 in free downloads from Little Learning Lovies! "This Amazing Life Magazine” is a new magazine for all homeschool families. It’s first issue is due out in September 2014. The magazine will bring you resources, insights, recipes, ideas, and information relevant to the unique homeschool life. Little Learning Lovies has hundreds of printable resources that are a great supplement to your curriculum for Prek through about the 4th grade. This promotion does not require a coupon code. Simply purchase a 1 year subscription to the magazine and you’ll get an email (usually within 48 hours) containing your unique coupon code to use at Little Learning Lovies. 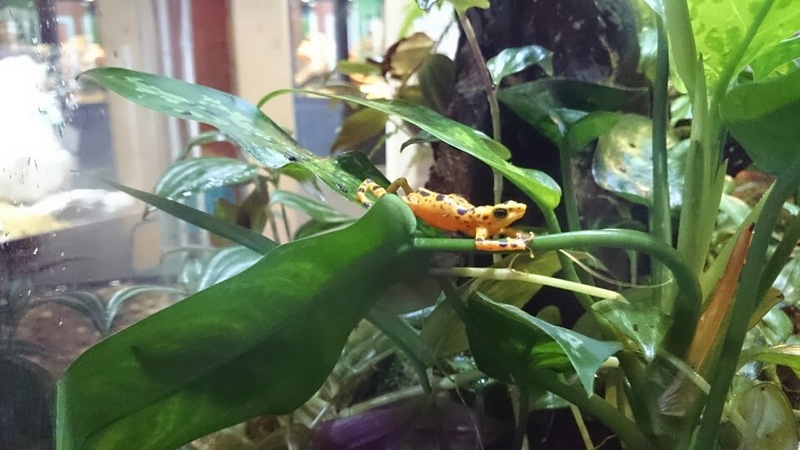 The zoo is a wonderful learning place for children because everything is visual and many of the displays offer hands-on activities. Children can learn geography, math, vocabulary, science classifications and habits of animals, and beyond! 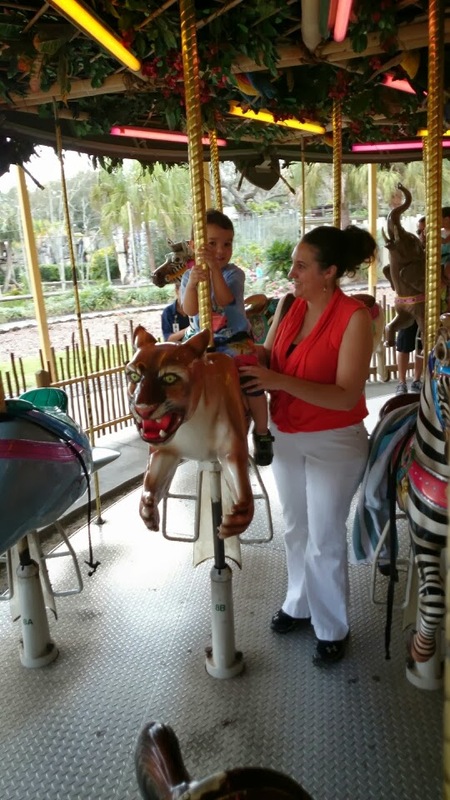 Below are just some ideas to do when you visit the zoo with your under Pre-k age group. 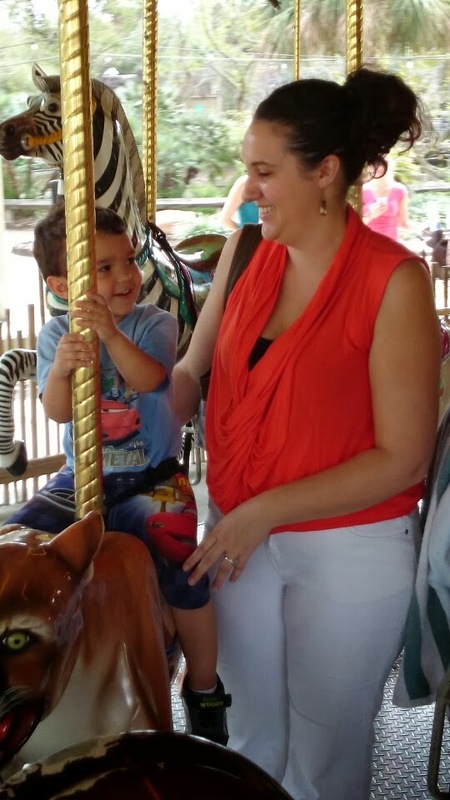 The best thing to do while at the zoo though is just to have fun with your child! 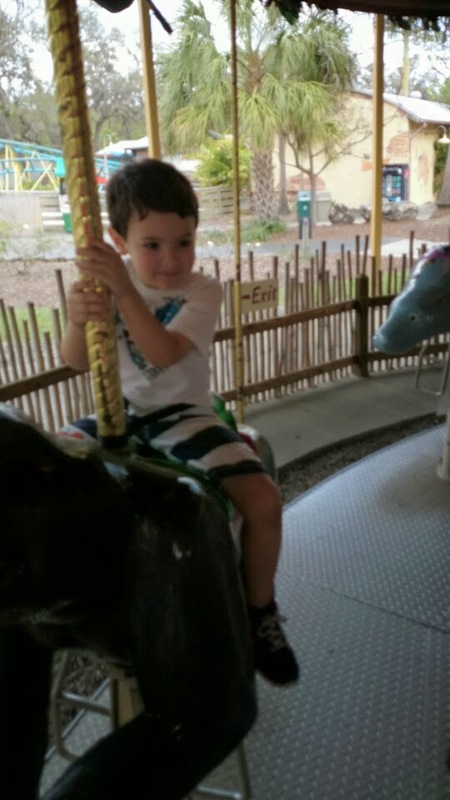 My sons are almost three and five years old, and one of their favorite activities to do is to go to the zoo. 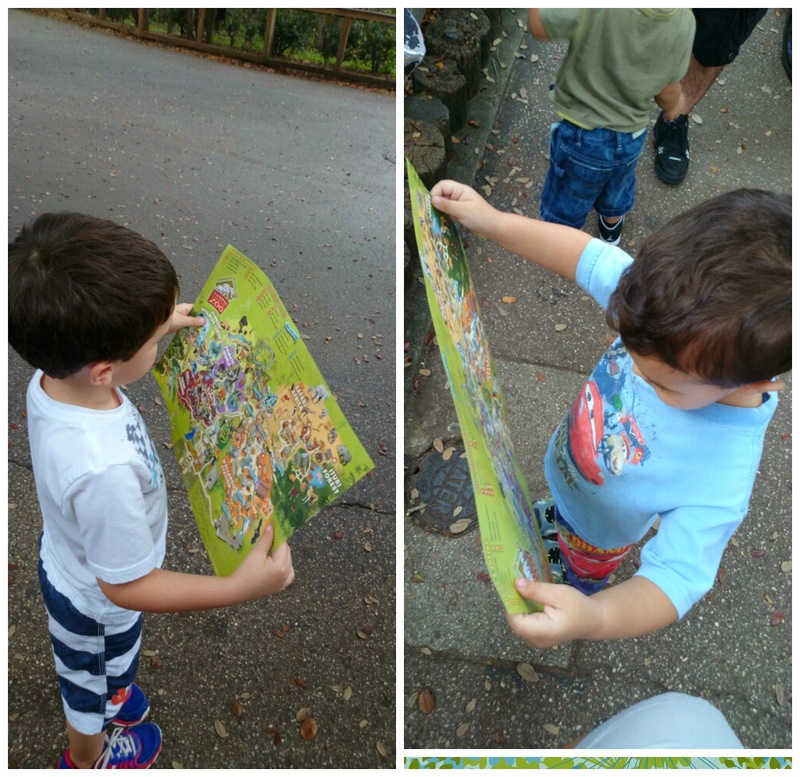 Upon entering the zoo, they are handed a map and magically, become animal explorers! 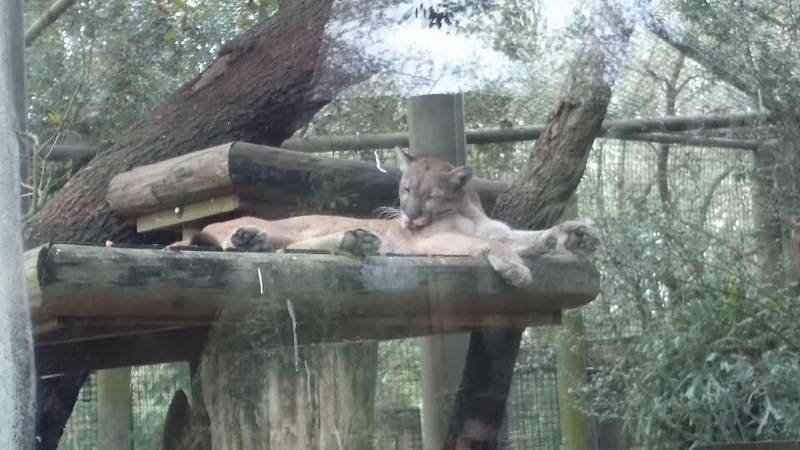 Our local zoo divides the animals from what continent or geographical region they originally came from. This a great opportunity for your child to learn where these animals come from, and where they are in location to your region of the world. 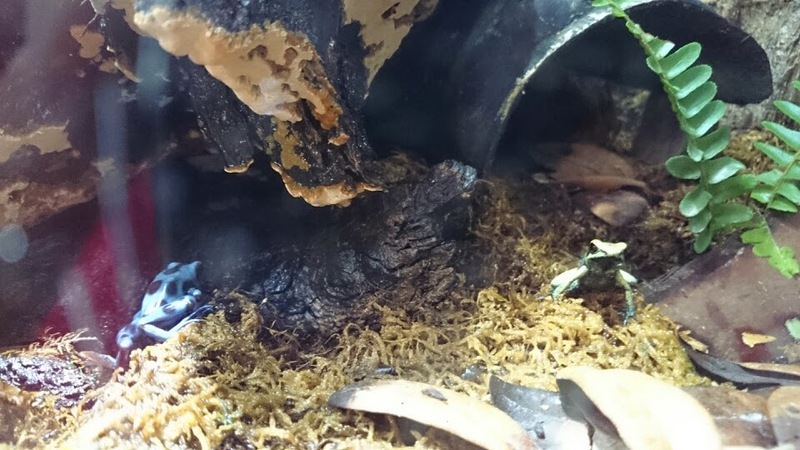 Our zoo does a great job of showing a world map by every area and the area where that animal is from, is starred. One of their favorite questions is, "Mom, what do they like to eat?" Again, the zoo has a their display board to show what they eat not only in words, but pictures so it easy for children to understand. For example, some types of birds like to eat insects, worms and fish so the board would show a picture of each. 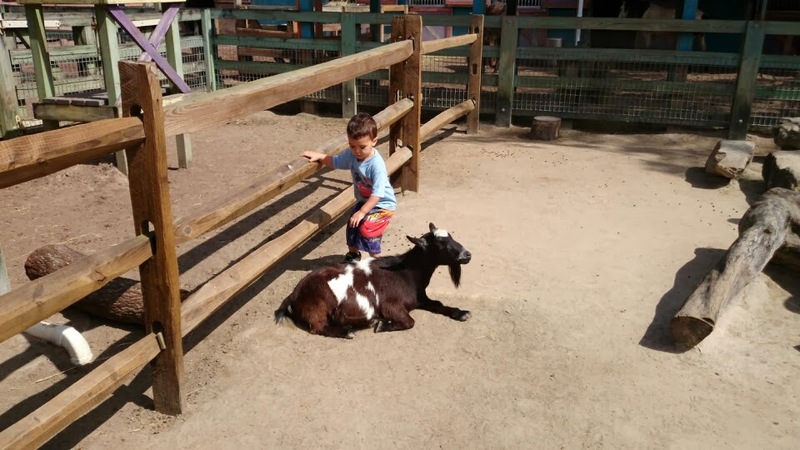 In the children's play area at our zoo is an area where you can feed and brush goats. 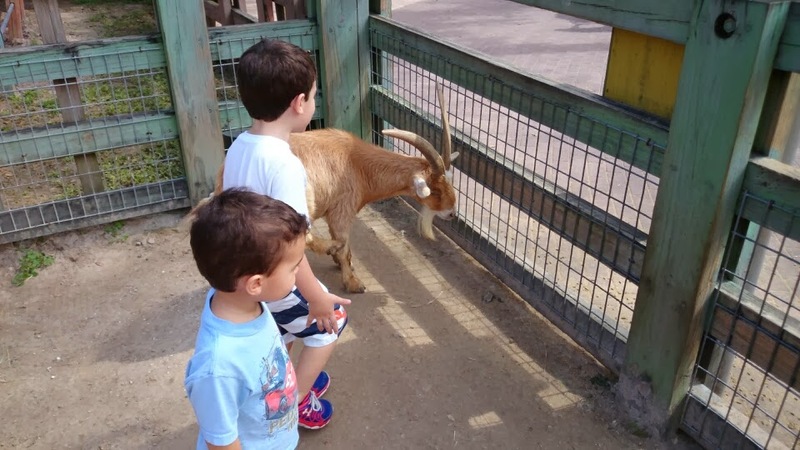 Recently we were there and met a goat with horns, which made the boys think of the book, "The Three Billy Goats Gruff." They were very excited to feed and pet what they called the biggest Billy Goat Gruff. How many spots do you think the leopard has? What color are the spots? What letter does that animal start with? Your child can learn how to use a map. 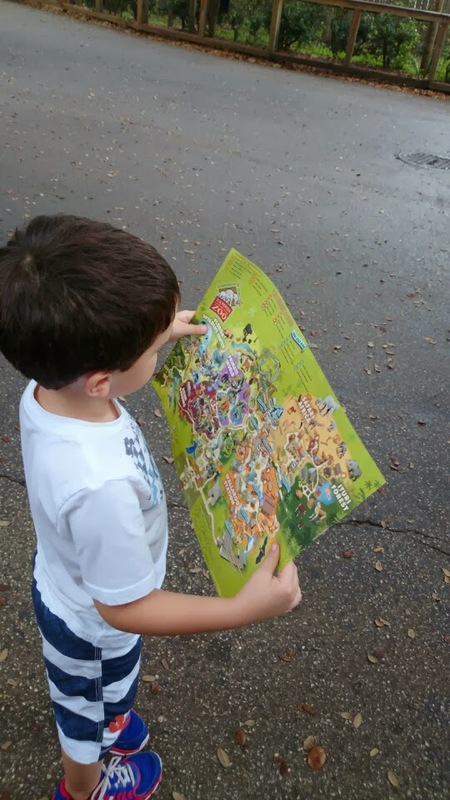 (Coordinates, areas of the zoo) Have them direct you what area to go to next based off of the zoo map. What do you think the bear likes to eat? What region do you think the deer lives in? What does the duck like better? Water or the land? Review colors of animals if you have children with you that are under the pre-k age. 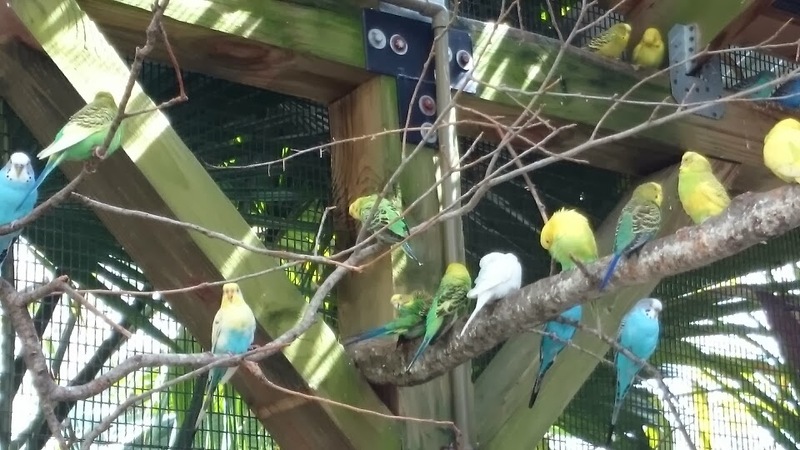 How many animals do you see in this exhibit? If you teach Creation in your homeschool, remark on how many animals were on Noah's Ark and which types. What day did God create the animals? 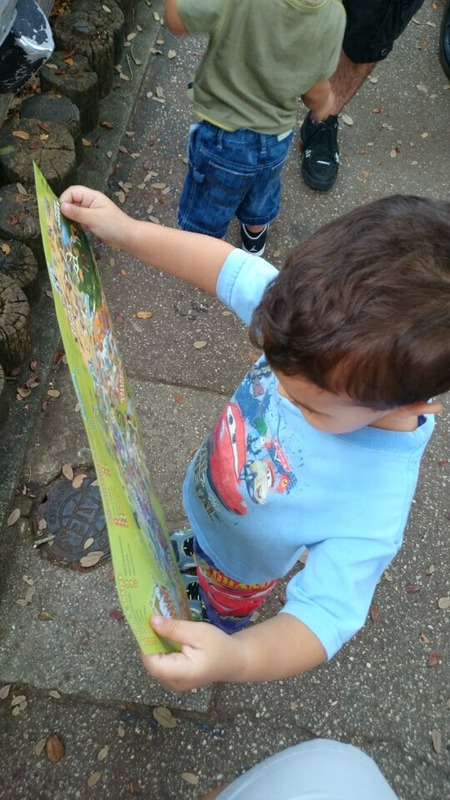 Chances are if your children are anything like mine, they will be asking you a million questions once you get to the zoo! 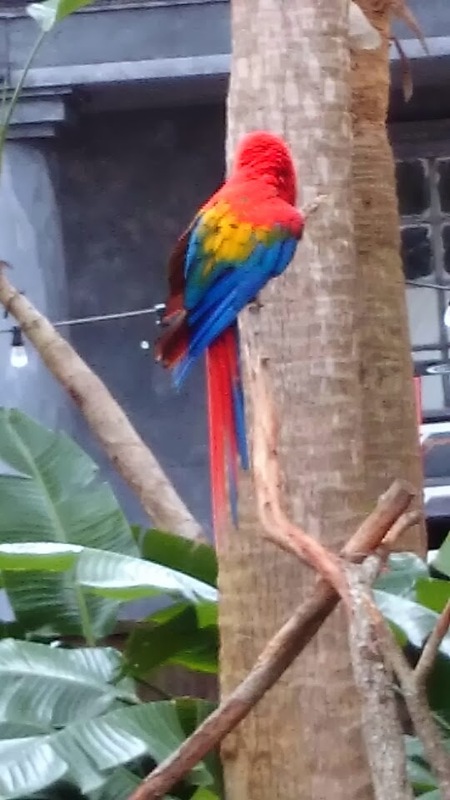 What is your favorite spot at the zoo? 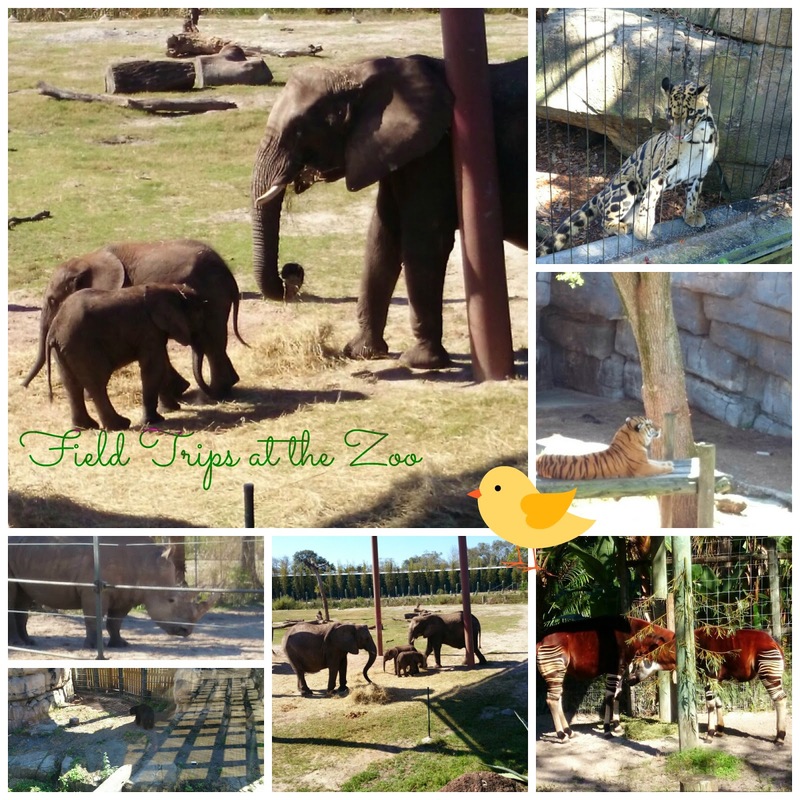 Can you think of anymore ideas or fun things to do with your children when you go to the zoo? Leave me a comment. I would love to hear from you. Hello and hope you've had an awesome week! This week we opted to do our spring break. It was just in time too because by Tuesday, my little one had developed the flu. Thankfully, he is feeling much better but I was grateful to be able to rest and read, and to be able to just snuggle and make him feel better. We did get some work in on Monday, but it was all fun for St. Patrick's Day. We did a Clifford magazine where the boys learned about opposites like up and down, in front of and behind, and over and under. The boys also had to find all the leprechauns on the sheet and we counted them from 1-10. We also did a rainbow activity where the boys had to use the pieces of string to "color" in the rainbow. After they were done, they were able to eat the golden treasure. Thanks for the chocolate coins, Grandma! We also worked on a craft later that night that I will be blogging about on a new contributor blog, Satisfaction Through Christ in a few weeks so I will post about that then! Our tomato plant is finally turning red! It has been wonderful for the boys to see the stages of the tomato plant grow right before their very eyes. We can't wait to be able to pick it and taste it! Other than that, we have had a much needed relaxing week and we are invigorated to start our homeschool work again Monday. 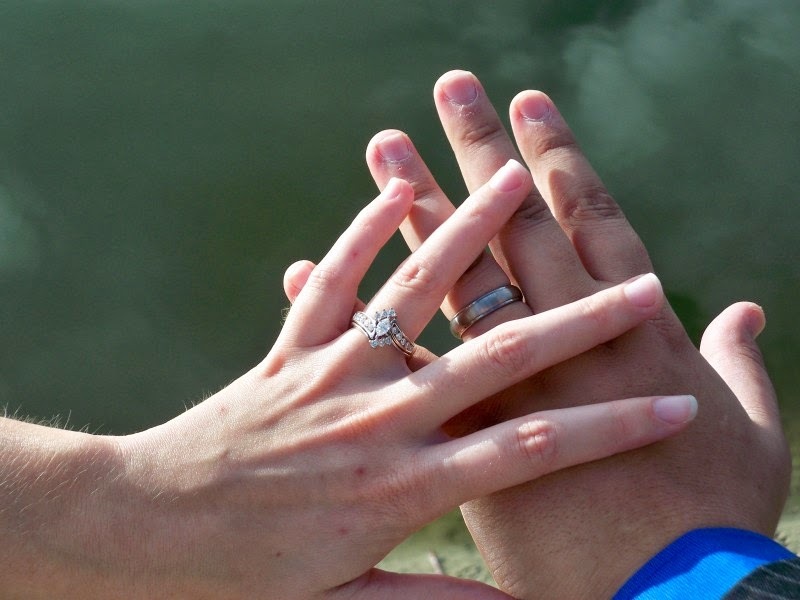 An encouraging article to remind you to tell your husband how much you love him. Hey all, I am so very honored to be guest blogging today at Blessed Beyond a Doubt. Thank you to Jill for all of your help and for being such an amazing person! The cold comes through the windows and the silence of the morning is broken as his alarm goes off. He fights the urge to stay in bed just a few minutes longer and manages to leave the warmth of the bed. It’s dark outside and his wife and children are still asleep so he quietly heads into the bathroom to get ready for his day. On is way into work, it’s raining and the traffic is backed up to the point where he might be late for work. He walks the three blocks from the parking lot to the office building he works at and signs in. The computer database is having issues this morning so everyone gets pulled into a meeting until they can address the problem. Soon after, it is lunch and he smiles and jokes around with his fellow co-workers. The computers are up after lunch and it being the end of the month, it is crunch time. The phones at the office are ringing non-stop and there is not a minute in between calls. As hard as he tries, the right calls aren’t coming in to boost his numbers but he is helping people fix the problems they are calling about. The calls don’t start out nice but by the end of the call, the customers are relieved that he has helped them. He looks outside at the end of his work day and realizes it is still raining. He know he is going to have to walk those same three blocks in the freezing rain to get to his car. As he reflects on his day, he knows he has done the best he can. He looks up and smiles at the photo calendar his wife made him for Christmas. Smiling back at him, are his sons in pictures being silly and the great family vacation photos they had taken last year. It hasn’t been a great day but he knows what he is going home to and with that, he finds the enthusiasm to walk those three blocks smiling. This is a day I see my husband having. Whenever he comes home, he is wonderful at not bringing in the bad part of his day and he is so excited to be home with us. I feel like I need to mirror this. Yes, Moms we have had a tough day also that no one else sees. Moms that work may have had an equally bad day at the office. Moms that stay home, no one knows how hard you work unless they are a stay at home Mom also. When Moms have a crazy day, who do they rely on? The man that holds you and tells you everything is going to be okay, even though it looks dim. The one who believes in you and supports you no matter what. The one who tells you everyday how much he loves you. Who does your husband rely on when he has a bad day? It makes me think of the movie, “Mary Poppins.” Jane and Michael are running away from the day at the bank with their father and they run into Bert. The children tell Bert how terrified they are and all the situations they ran into. I will never forget that Bert tells them how terrified their father must be that he doesn’t know where they are and asks them what about their father? He asks the children who their dad goes to when he has a bad day? And the answer is no one. Husbands are the forgotten heroes. We rely so much on them to make everything better. Think of all you and your husband have accomplished together. Think of the big wedding plans you both had to do or that first home purchase, or buying a new car or planning a vacation. The two of you brought life into this world. What an unstoppable team! None of your life would make sense without him and his life wouldn’t make sense without you. Why not tell your husband today how much he means to you. Thank him for being such a good man. This article appeared as a guest post on Blessed Beyond a Doubt in March of 2014 here. Ok, so I tried to take this week off for spring break but an amazing thing happened. My sons hold me accountable for everything I do and my oldest asked why we weren't doing homeschool today on Monday. I told him we were just taking a bit of a break for the week and he got really sad and said, "but Mom, I like homeschool work and I like that you are my teacher." That just warmed my heart so much! We worked on listening for instructions on what color to color the small and large items and we also did a smallest to largest sheet on birthday presents. We also worked on number 19 and counted from 1-19. B found 19 in a number find and practiced writing the number. G colored and matched the small to large item. The boys worked on coloring their math sheets all week and then on Thursday, they asked if they could make wrapping paper for their cousins upcoming birthday. I have a huge roll of white butcher paper thanks to Grandma so I cut a piece the size of the gift and the boys went to work! B drew himself giving the gift away and he also made the birthday cake in the middle and G made a lot of lines for the candles! We had no Awanas this week due to spring break but the boys got to play in the bath tub with their pool toys (because it was still too cold to go swimming) so we had a pretend day at the pool in the bath tub! The Story of Moses: The Passover (Exodus 5-12) God killed the first born son and male animals but passed over the homes of people who left lambs blood on their door. This included the king's son and he finally told Moses that he could take his people and leave. Wednesday we had an App Day. Both boys did ABCmouse (G did letter g and the color red and B did triangles and the letter v). I downloaded a preschool and a first grade app on my Kindle so G got to practice his colors on the preschool app and B learned number and shape patterns. They also helped me research ideas for G's birthday coming up soon for a Peter Pan party! Friday we did pbskids.org and some spring cleaning. The boys are into Teenage Mutant Ninja Turtles now but we are overwhelmed with toys. I explained to them if they wanted new toys, they would have to help me go through the old ones and they did! I was able to take some things to baby consignment and they got to go spend the money on new toys that they would play with. I thought it taught them a good lesson on letting go of stuff that you are not using. That's it for our week though. We will see if we end up relaxing this week but the homeschool Mommy guilt ate me alive this week so we may end up being year round homeschoolers and just do light days throughout the year. Blessings and enjoy your week! 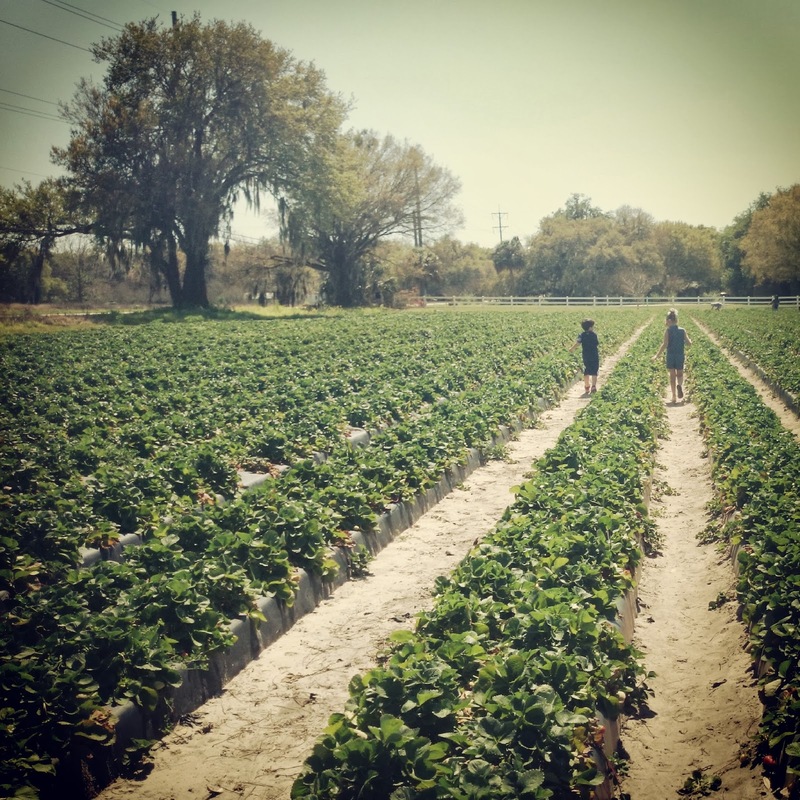 In February in Florida, it is Strawberry Season! There is even a Strawberry Festival to celebrate and you can go on rides, see concerts, and pretty much buy anything strawberry or strawberry related. Imagine your state fair but have everything centered around strawberries. It is a big deal in our area. Last year was the first year my family and I learned about U-pick produce. It is usually at the end of the season; some farms will open up their land to the public and let them pick their own produce. The best part is you get it for a fraction of the cost. The consumer gets a wonderful discount and the farmer gets to make a little bit more on a crop that is about to go bad. Some of you might be wondering why you would want to go pick produce that is about to spoil. The fruit will be good for a few days at your house but if buy in bulk, you can freeze it and use it for later. Frozen strawberries make awesome milkshakes and smoothies. I don't know how to make preserves or jam but I think that sounds amazing too! Anyone know of any good recipes? Another added bonus to U-pick is your kids and you get to be out in nature and enjoy fresh air and sunshine. My sons love pretending to be farmers while they are out in the field. It is a great opportunity to spend time with your children and have them learn what it takes to be a farmer. Explain to them that the plant starts as a seed and grows into a plant with a flower than buds into a strawberry. My sons sing "Old Mac(insert your child's name) Had a Farm" and we get to count how many strawberries we collect. With my youngest, I point out different things on the farm and ask him what colors they are. We collected about 7 quarts of strawberries and paid less than five dollars. We also were able to buy some strawberry onions. They are super sweet and they are humongous! It's weird to think that an onion and strawberry can share the same soil but it works wonders down here in Florida. Not only can you make memories with your own children, but invite along nieces and nephews who live near you. My niece and sister-in-law were on the way to the Strawberry Festival and we invited them to come U-pick with us. Instead of eating sweets, getting a chance to go on rides or play games my niece decided to come with us. And we all had a great time! What are some U-pick produce in your area? Are there any festivals that celebrate the crop like our Strawberry Festival? I would love to hear your stories and see what other U-pick is available in other areas. Monday - My oldest worked on looking for number 16 in a Number Find and writing out number 16. If you have a preschooler or younger, I gave my youngest a color sheet and told him to color the balloons orange. The other side of the sheet included tracing circles for G and cutting and pasting turtles for B. B also had to draw a square and write letters F and A for his after reading lesson. We counted from 1-16. Daddy had G trace a cup to show him how easy circles can be to make. Thursday - Number find for 17 and cut and paste 17 sea horses. We used 17 counting bears and counted from 1 to 17. We also worked on a sheet to teach story sequencing. Friday - Number 18 with number find, counting 1-18, and cut and paste sheet for 18 pretzels. We also did a review of writing numbers 1-10. I keep some extra sheets in their folders and my youngest said he wanted to color this jacket today so we talked about when we wear jackets. Somehow Mommy ended up coloring the sheet but he advised on what colors! Tuesday - Happy Birthday, Dr. Seuss! We read Dr. Seuss books and got inspired to paint! I traced the boys hands and made some pictures from the books. My oldest made circles from his brother's lesson the day before! They are listening and paying attention! Yay!!! Wednesday - Mommy was not feeling well today but look at this awesome artwork from my oldest! A drawing of my oldest and his cousin. Daddy got home from work and did a building project with them, which was building a toy truck. We found use for the earmuffs from Daytona! Afterwards, was Awanas for the boys and I went to help paint some banners for Easter service. - Joseph the Dreamer (Joseph Forgives His Brothers from Genesis 42-47). Forgiving someone who has hurt you. Wednesday Boys had Awanas and they learned about David and Goliath and colored a sheet. - The Story of Moses: A Baby in the Basket (Exodus 1-2). Moses means "I lifted him out of the water." When God changed Jacob's name to Israel, his people became know as Israelites. This was 400 years after Jacob and the king was seeking to destroy Jacob's family so he wanted every baby boy born destroyed. Irony is the king's daughter saves Moses. - The Story of Moses: God Speaks to Moses (Exodus 2-3). God speaks to Moses in the burning bush and tells him to go back to Egypt and tell the kings, "To let His people go." Monday - ABCmouse: B did letter U and color by number 1-6. Tuesday - G went potty! There was a Daniel Tiger episode on about going potty and hygiene and taking a break from play to go potty and he went! Reading Eggs lessons included farm animals and sounds. Wednesday - ABCmouse lessons included G learning all letters of the alphabet with baby chicks. B learned about letter E and triangles and they both had "Little Red Riding Hood," "The Boy Who Cried Wolf" and "Goldilocks and the Three Bears" read to them. Thank goodness for ABCmouse! I was sick all morning and was thankful they could still do learning that day. I am guest blogging over at Mom it Forward today. This is my first ever guest blog!!! Thank you to Jill and Mom it Forward blog for featuring me! How many of you think you know everything there is to do around your community? My sister moved to Lakeland, Florida last month and was telling me about an awesome park she found. Common Ground Park in Lakeland, Florida is about an hour from where I live and on the way to Disney World. I was surprised I hadn't heard about it before. Common Ground Park has a Disney ambiance when you enter it. There is joyful children's music playing like "If You're Happy and You Know It," "Yankee Doodle," and I think we heard the "Chicken Song." The music just makes you want to rush into the park faster, which is exactly what we did! The park is a public park so it is absolutely free to enter. They take donations if you want to give back. Butterfly Gardens - There are several butterfly gardens in the park. You can play among them as your kids swing. There is an in formation board that gives you butterfly facts, so not only are you having fun, but you are learning too. This is a home school Mom's dream (aka "me!"). Large Play Area - The playground is 25,000 square feet! Separated Play Areas - There is a sign that is color and number correlated to show parents and children which of the areas is safe and age appropriate. This offers another learning experience with review of colors and numbers. Spider Web - This has to be one of the funnest ways to enter a jungle gym I have ever seen. The kids have to climb up the web to get to the jungle gym above. There are several other entrances to get on as well so there are never too many children trying to get on at once. Conveyor Belt - The conveyor belt is another part of this massive jungle gym and the slide is like a conveyor belt so you bump, bump, bump all the way down it. My sons loved it, especially my oldest. Gopher Mountain - This is actually not grass, but synthetic turf so most of the children are running around in their socks without their shoes and it's a lot safer for them in case they fall. Kids can literally roll or slide down the hill. Adults can also participate if they want to. Underneath the mountain is a tunnel that kids can crawl through. They can climb back up on a rope ladder or exit through three other outlets in the mountain. Fossil Beach - Fossil Beach is where kids can dig in the sand for fossils. The area is underneath a tent. Parents can sit in the shade and watch or they can go exploring on the rocks and slide down either of the two slides. My youngest is almost three years old and this was his favorite part! He loved being a dinosaur and climbing the rocks to get to his slide. Great imagination at work! Picnic Tables - There are plenty of picnic tables in the shade and more space for running around. This was the best slide according to my son! Veranda - In the middle of the park there is a veranda where you can sit and watch your children have fun. The park is entirely enclosed with a fence which can make parents feel safe. I ended up playing alongside my sons and of course snapping pictures. They really did a great job of thinking of everything and everyone at this park and there is such a joy and calmness in the park. And did I mention how clean this park is? They do amazing because I didn't see a single piece of trash or gum anywhere and this park is almost five years old and it looks brand new. We spent almost two hours here and I don't think we saw every inch of this park because there is just so much to do. If you are ever near the Lakeland, Florida area this is a must stop! Where are some of your favorite staycation ideas? Do you have a fun park in your community? 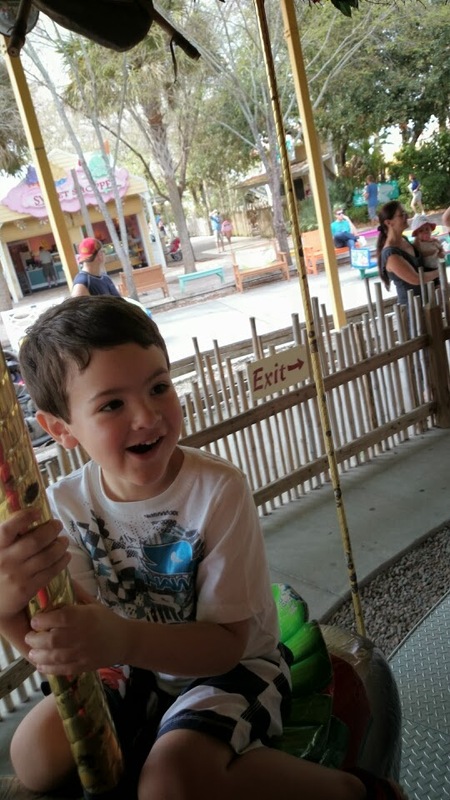 This post originally appeared as guest post on Mom It Forward on March 7, 2014. As some of you may know, I grew up with a faith based background with the belief in God but with no Word or scripture backing. I spent most of my young adult life what I considered living. When you are eighteen years old to probably about twenty four, you feel invincible. Nothing is going to knock you down no matter what you do. Although grateful for these years, I am glad now that they are behind me. I spent a lot of time living for me, and not for God, even though I believed in Him. When my husband and I reconnected a few years after high school, we were soon married and had a baby on the way and we were still living for ourselves. It wasn’t until my oldest son was born, did I feel the need to change my ways. I think that’s what happens when you become a parent. All of a sudden, not everything is about you. It was still a few years before I came to the point where I am in life. We started to attend church more regularly but life was still not about the Lord. God was not the focus and center of our life where He deserved to be. We started to notice the more we attended church that the behaviors and lives of some of the people we surrounded ourselves with were not compatible anymore with where our life was headed. It was not long, before some of our friends threw the word, “hypocrite” in our direction. We were not living a bad life before. We just were not living for Him. Our friends started to notice a change in our life and some of them distanced themselves because they didn’t understand it and others saw the change was good, and didn’t like it. If someone sees that something changes for the good in your life and they are not happy for you, they are not a friend. We went through a period of about 18 months, where thankfully we had the love and support of family, but my husband and I lost about every single person we had called a friend. This was no coincidence and I know that it was God clearing a path for us. It was extremely lonely during this time but God turned bad into good. We started to develop genuine, real friendships at our church and amazing ministries have been blessed into our lives, including the Awanas ministry my sons love going to every week. They have started to make friends. We are now a part of a community where we can talk and express ourselves and be unashamed about who our Creator is and who He made us to be. Many Christians today are called supposed “hypocrites.” There are hypocrites in every aspect of life, not just faith. The Christian I am speaking about in this article is a person that is trying to do their best and have God as the center of their life. The bottom line at the end of the day is we are all sinners. As my pastor says, ”There is only one perfect person that ever lived and He died on the cross over 2,000 years ago for our sins.” We can’t compare one sin to the next. God sees it all as sin. Even when we are trying our best, we sin. The difference is a believer knows what they have done wrong and wants to repent and ask God for forgiveness. The best thing you can do for a person who has called you a nasty name or been hurtful to you because of your faith is pray for them. We love because God first loved us and we even need to love the person hurting us. On the more positive side of this, the next time someone calls you a “hypocrite” because of your faith, smile and have your actions, and not your words show this is not the case. 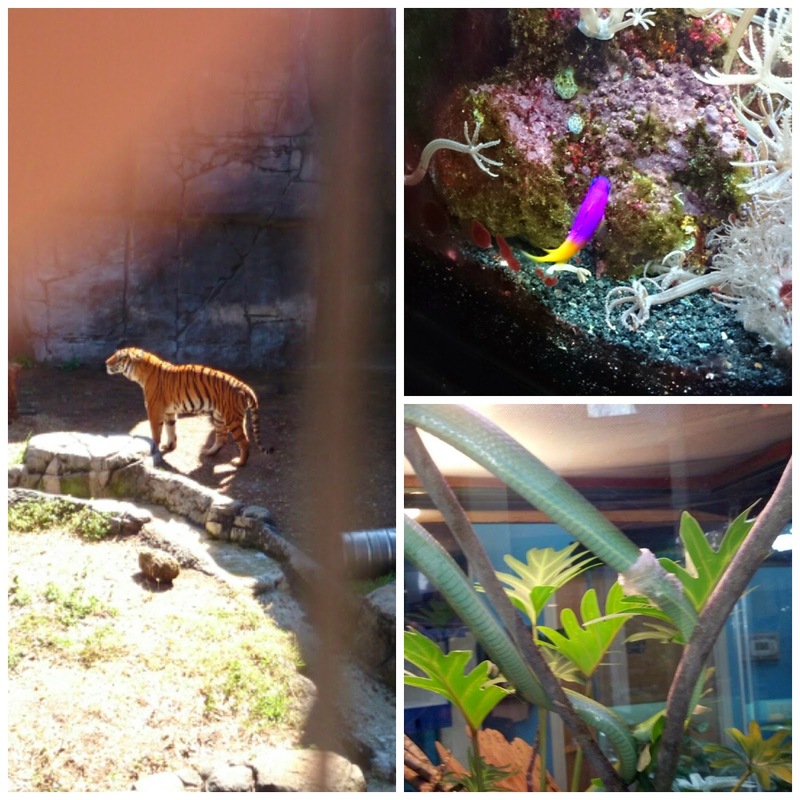 Trip to the zoo. We did ABCmouse.com in the morning and G did letter E and the number 3. B did squares and secondary colors. The boys counted how many animals were in each area as we passed and we took pictures of animals with secondary colors. 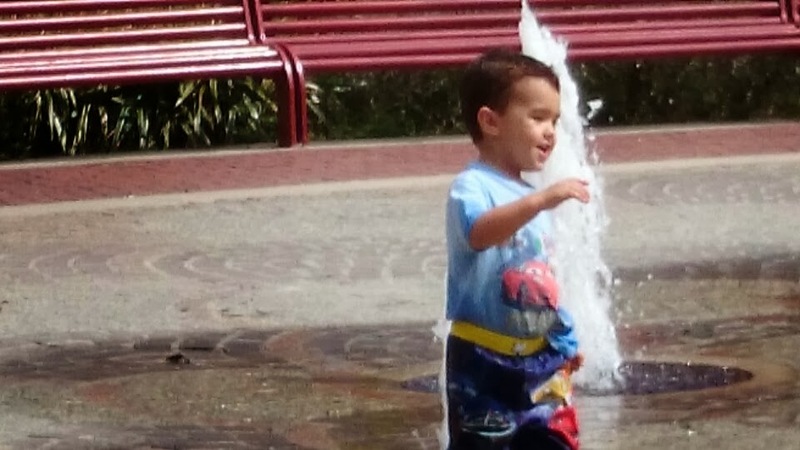 We did lots of walking around and at the end the boys got to enjoy splashing through the water spouts. Here are some pictures! Yay! 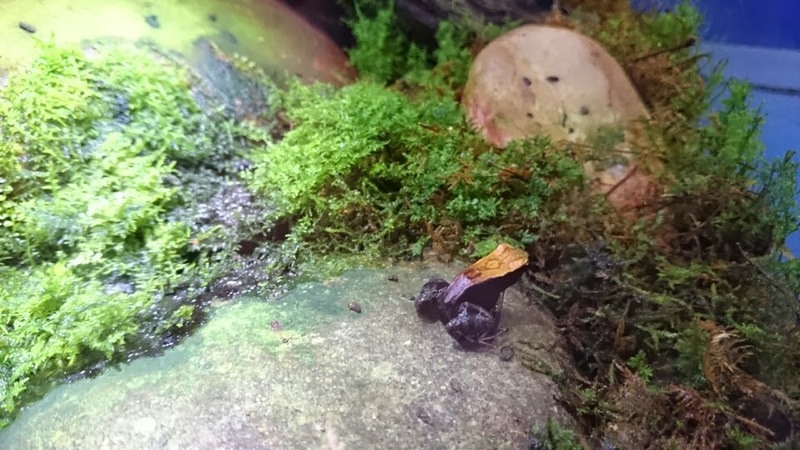 Secondary color: purple frog! 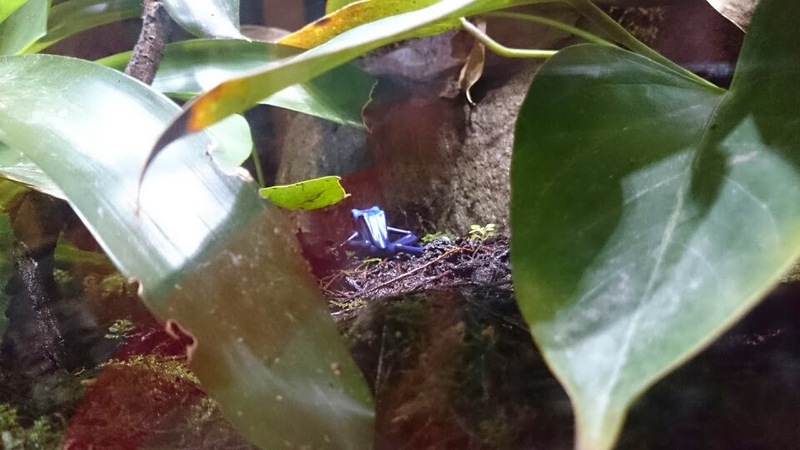 Another secondary color: blue frog! 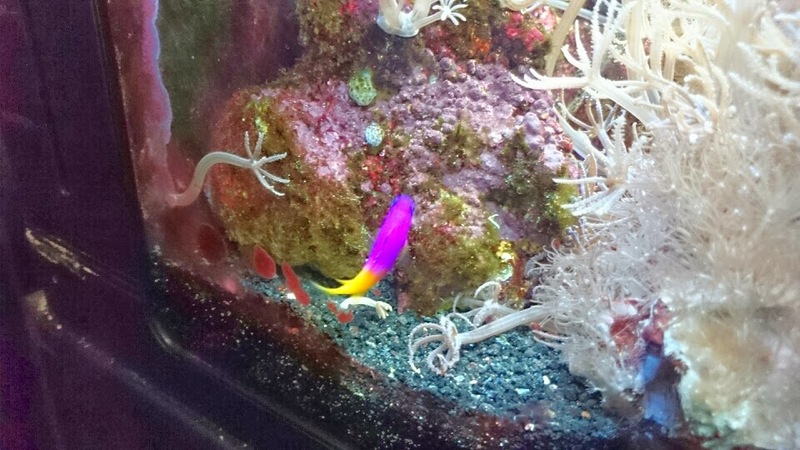 Another purple animal (or fish!) found. The boys thought this was amazing! They got to pet the goats and this one looked like a billy goat from the Three Billy Goats Gruff! Talk about a story coming to life! 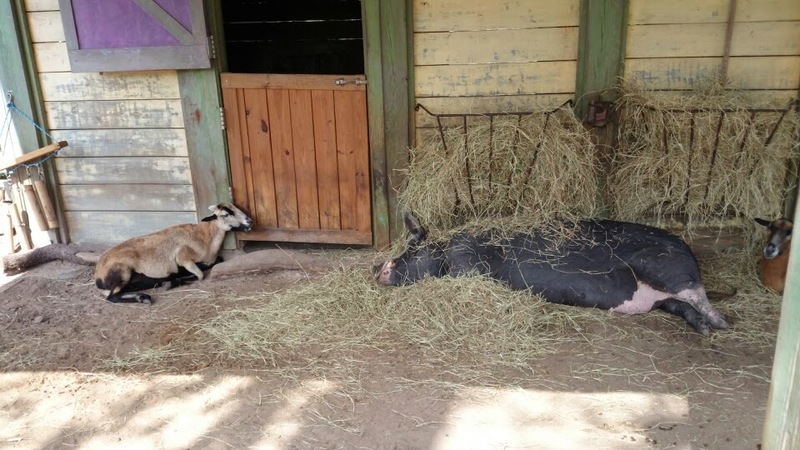 Hue pot bellied pig and some goats at the barn. 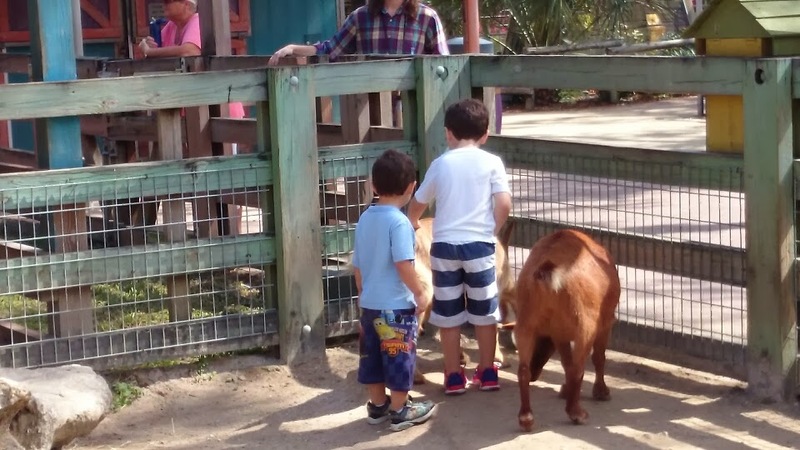 My youngest a little hesitant to touch the goat but they were all very friendly goats. My dad has lots of birds in his house. He would have loved this so we're going to take him to the zoo next time he visits! My husband snapped this photo of me and my youngest. Priceless! 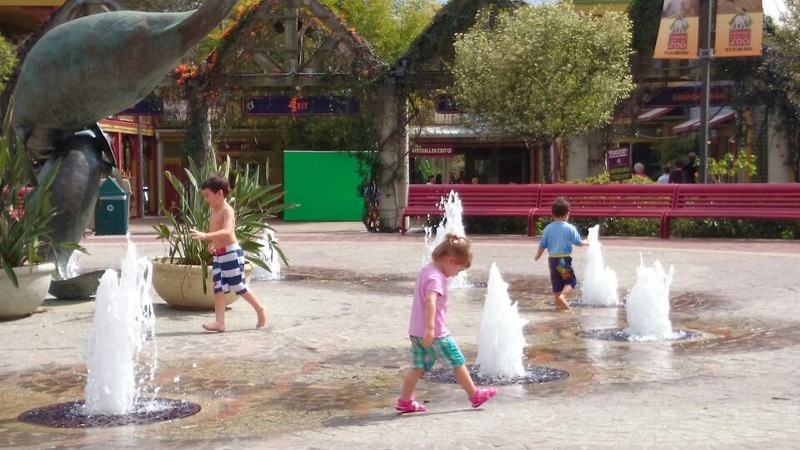 Fun with the water spouts! And once the boys went in, all these kids started to go in too so they met a lot of new friends! Who says homeschooled kids aren't socialized? My youngest colored a picture of a Zoo and Zebra and my oldest colored, cut, and pasted a worksheet on the number 15. We counted from 1-15 and my youngest surprised me because he can count from 1-11 by himself! I also taught them how to count on their fingers to help show one to one ratio. We painted our secondary animal colors and animals we saw at the zoo. We also played a "Jake and the Neverland Pirates" matching game. Awanas homework was reading about Noah and how God keeps promises. The verse this week was Psalm 4:8 "I will Lie down And sleep in peace, For You alone, O Lord, Make me dwell in safety." The boys didn't take naps though so they went to sleep early and missed Awanas but they are ready for this week! "Joseph the Dreamer: Joseph is Set Free" (Genesis 40-41). Joseph deciphers pharaoh's dream and pharaoh puts him in charge of the whole land of Egypt. G read half of Dr. Seuss "I am not Going to get up Today" with me because it has a lot of his sight words he knows. I am amazed that he is reading so well and that he knows his words! So proud of both of my boys! My youngest on ABCmouse.com and yes, we are homeschoolers so he is in his jammies! He worked on Letter F and older brother worked on Letter T.
B "read" "Little Red Riding Hood" by: Dubravka Kohanovic to me and G. I've read this story so many time that he has memorized it and can read it to his little brother! We went out for a walk with our dog and found that no one was in the back of our neighborhood so we played football and ran around. It looks like fall here doesn't it? We also got to socialize and the boys love talking to everyone so we got to talk to our neighbors. I am a shy person until I get to know people but my boys just love talking to everyone about their day! We got home and played Hungry Hippos and then we were also blessed with a five week free trial from Reading Eggs on the computer so they did letters b and c, and the words at, mat and cat. The boys had cousins sleep over and Grandma and Grandpa stopped by with some awesome Despicable Me cupcakes for Daddy's birthday last week. We built forts, played Monopoly, played outside, and watched movies! We had a very special field trip planned today with my sister and her family but I can't spill the beans yet! I will be featured on Mom it Forward Blog (http://momitforward.com/) next Friday, March 7th and I wrote an article on our day so please come and check it out! I am truly honored and blessed that they allowed me to guest blog and it is actually my first guest blog so it would be wonderful to let me know what you think!